This route has special characteristics. 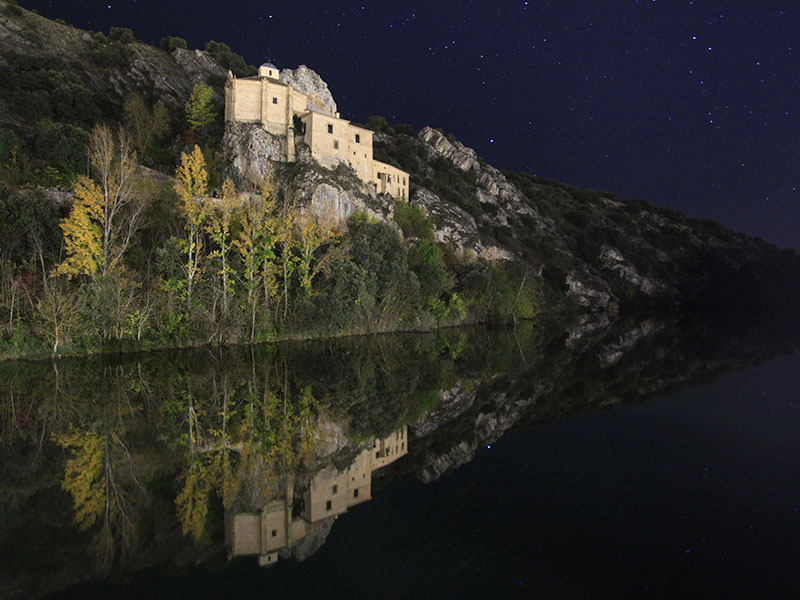 His nexus: night and darkness, the way they have illuminated the main buildings of Soria. 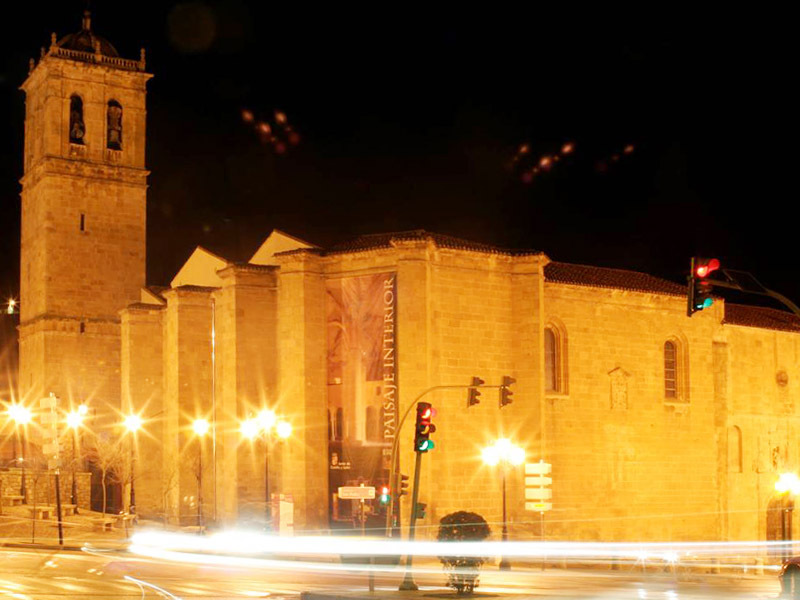 A brief description, because most of those mentioned have already been addressed in other routes, but the journey is long, a walk through the quiet streets of this Spanish city "so beautiful in the moonlight." 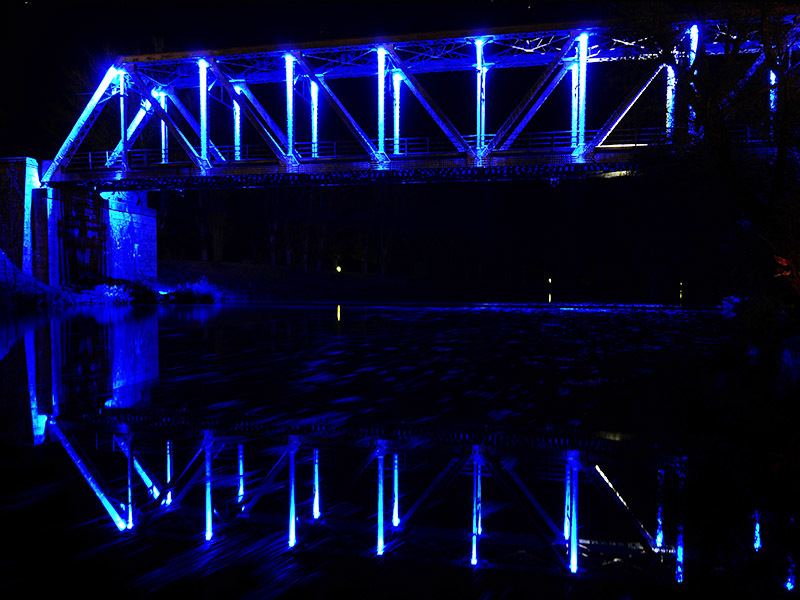 And continue on the Iron Bridge illuminated (2), old railroad passage structure opposite the Walk of Saint Prudencio, now disused with its blue and white tones that give the environment a halo of romanticism. In this old iron structure, clad in metal lighting highlights her figure that configures the bridge, with the contrast between the different shades of light blue for the cold light modules and white vertical profiles for the rest. 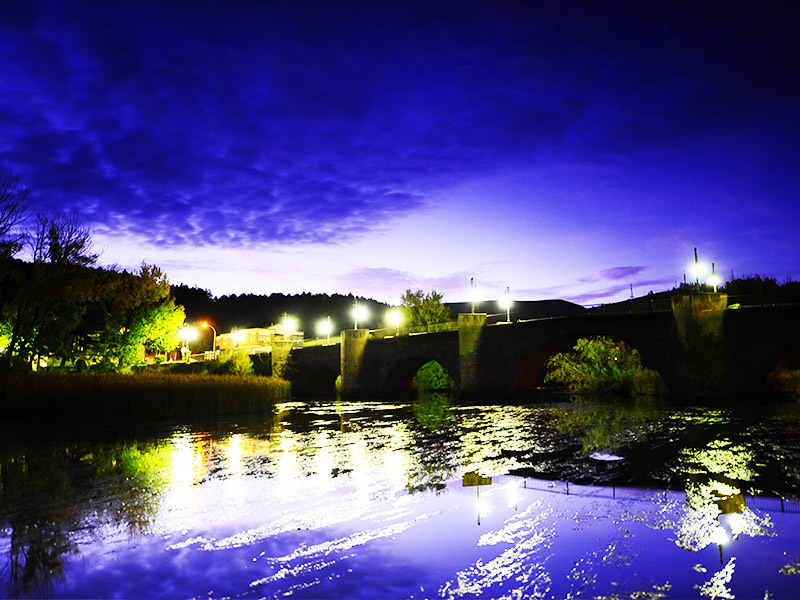 Nearby, on the other bank of the river, you can enjoy the bridge (3) of stone, of medieval origin. 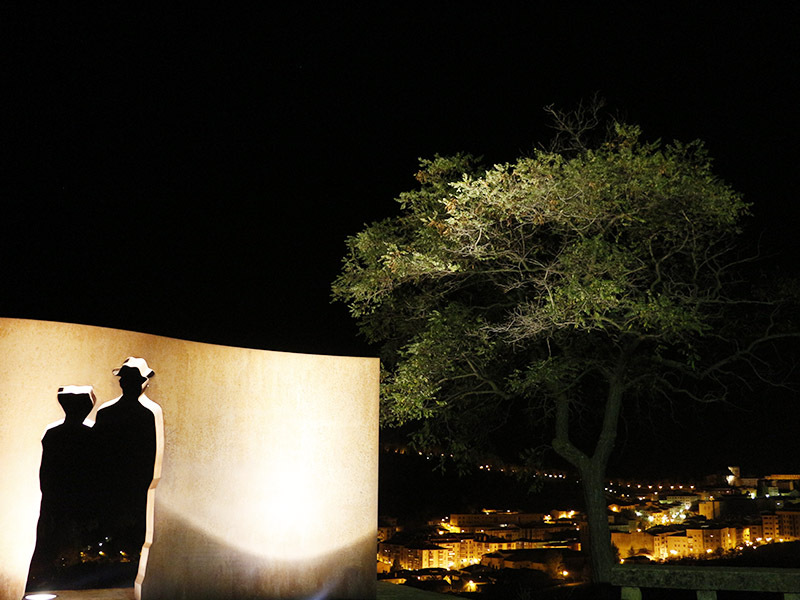 In this case, adorned with artistic lighting that greets visitors at the entrance from the road to Zaragoza, next to the Visitor Reception Center. The artistic lighting of the bridge and its range of colors that inundate its arcades is much broader and more dynamic, going from red to blue and then to green, turning his contemplation a real spectacle. 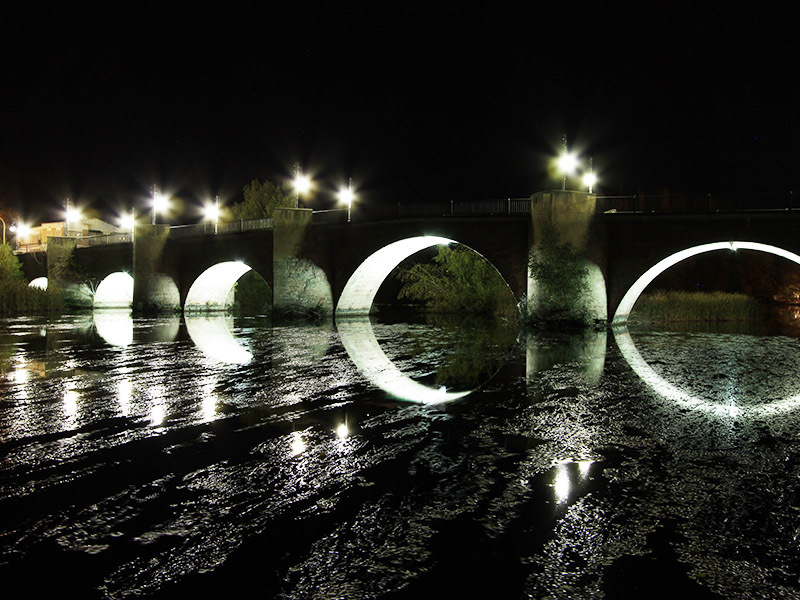 Artistic lighting enhances its night image and, in turn, the environment in which it is located, producing a combination of images and their reflections in the river water, which, like a black mirror provides a second image color, inverted, the illuminated bridge. Road to the city center, we find the Cathedral of San Pedro (4), highlighting the light red color of the stones and the slenderness of the tower. Continuing the walk to the city center, in the Plaza Mayor, the Church of LaMayor (5) shows the elegance of apse and Leonor corner. 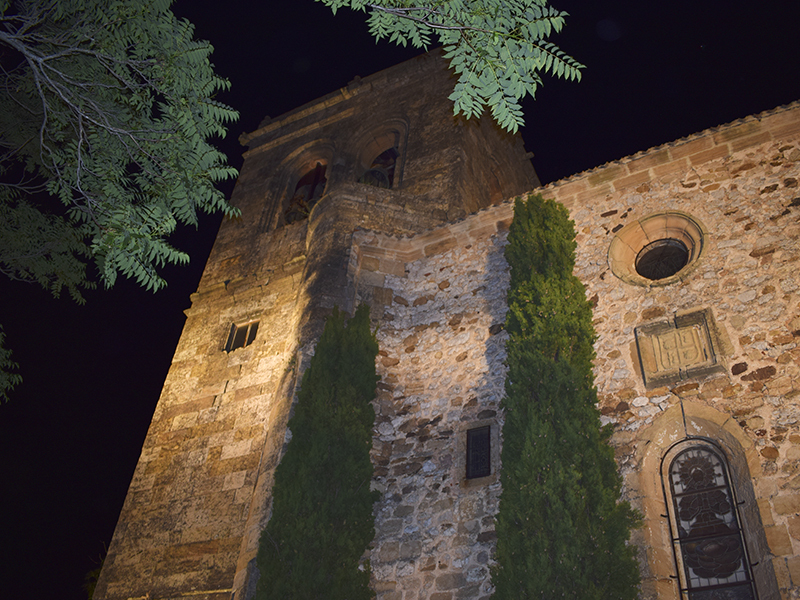 We can approach from here to the church of Nuestra Señora del Espino (6), which stands illuminated in the dark environment of the Castle and down again to the center contemplate the church of San Juan de Rabanera (7), which recovers its splendor in the peatonalizaran night with its surroundings. 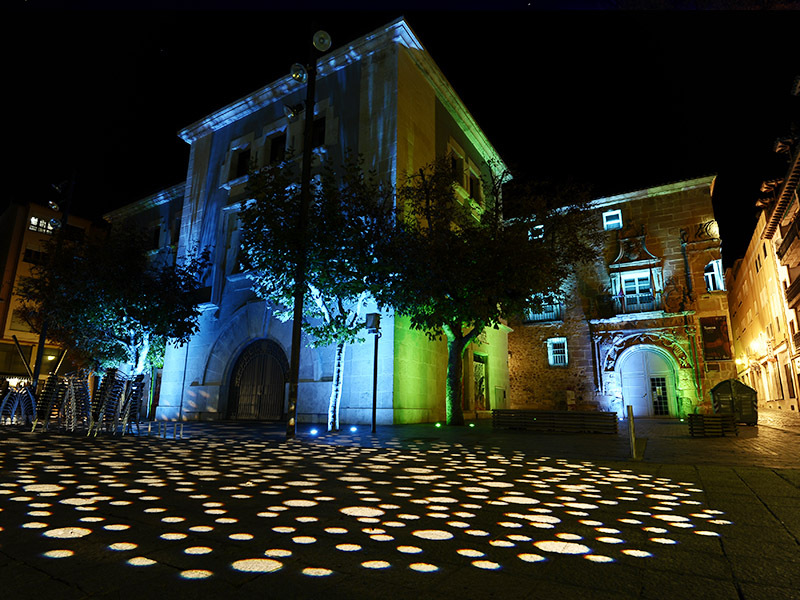 Also noteworthy is the artistic decoration of the Historical Archive, located in the Palacio de los Rios and Salcedo (8) with its sinuous Renaissance forms are enhanced, along with modern decoration circular shapes of colorful tenuous with which the Plaza is dyed San Clemente when darkness falls. 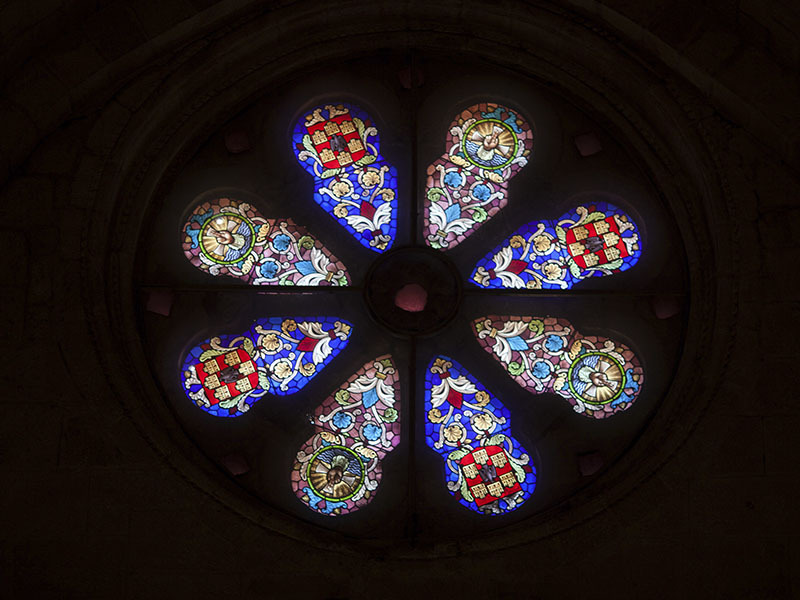 From here a few meters down the street Aduana Vieja noble arrived to the Romanesque jewel of the church of Santo Domingo (9), where the play of light and shadow shapes the contours of his magnificent sculptures. 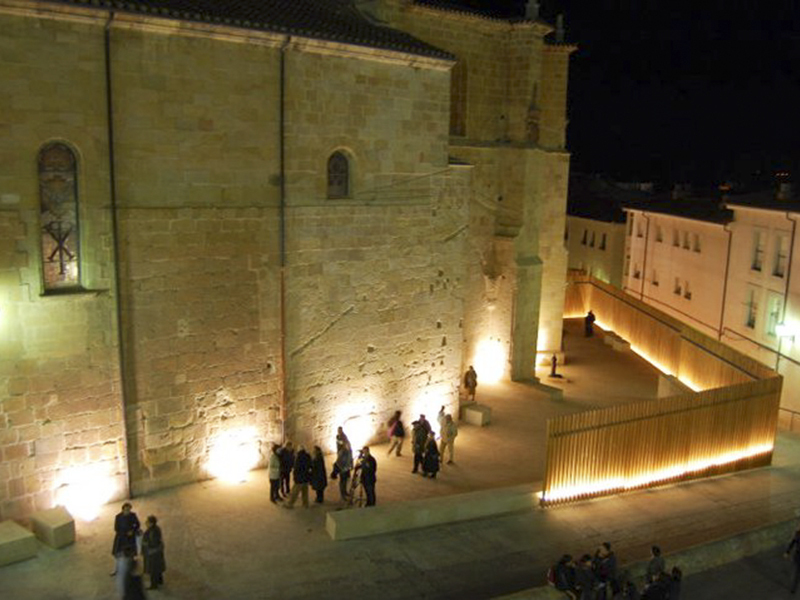 As a finishing this stretch, and as an excellent vantage point for a panoramic view of the city, climb up the hill Miron, whose temple, the Chapel of Mirón (10) and the column of San Saturio located in the atrium of it, seem to float soriana in the night. Now back to the city worth visiting the Plaza of the Gardens of Becquer or Corner of Becquer (11) regained its splendor looking back toward the ruins of the Convent of San Francisco. 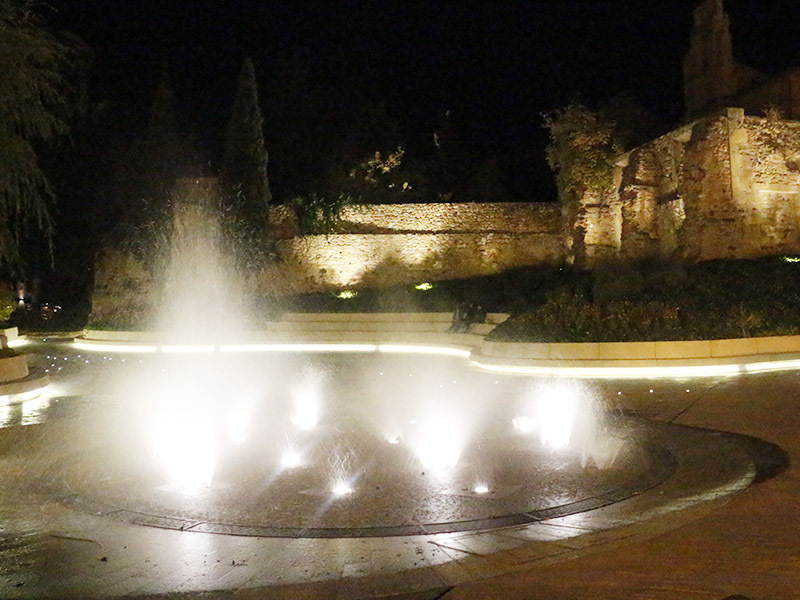 This square is divided into several areas including a children's play area and a source of water surface with verses from the poet who gives name to the square with a reflection effect of the ruins themselves. 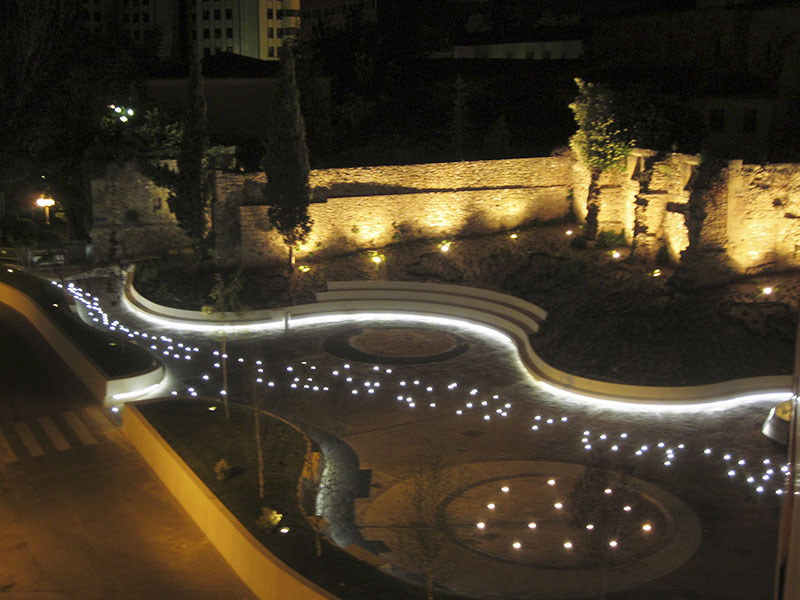 The whole place has an original lighting that comes from the ground and mark the path of traffic and at the same time enhances the ruins of the night creating a suggestive night space. 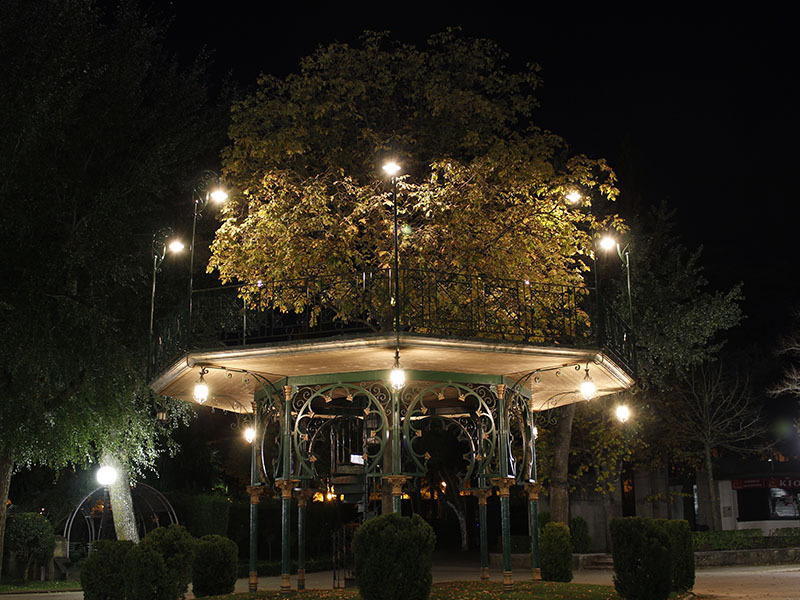 And as a final this evening walk crossing the Alameda de Cervantes is the Tree of Music (12) necessary stop for his illuminated temple rises from the shadows and is the undisputed star of the park in the evening hours. 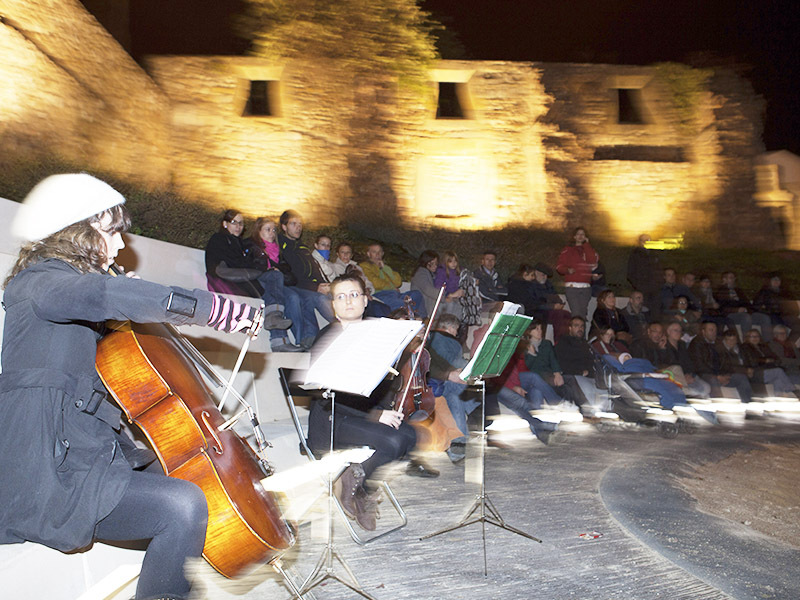 Next to it, the renovated Paseo del Espolón night also offers a nice pedestrian space with smooth curves that combines modernity with integration into the environment in which it is located.